The region of Mumbai today comprised of 7 islands. When it went under the British rule, they built forts at important places to keep away the Siddis, Marathas and Portuguese. Kala was built on Mithi River. In 1737, Gerald Aungier, the governor of Mumbai, built this fort to keep an eye on the Portuguese island �Salshet� and Mithi River. Since the stone used for construction is black stone, the locals called it Kala killa, or Black fort. The forts of Mahim, Kala killa, Riwa and Sion fort strengthened the northern front of Mumbai. 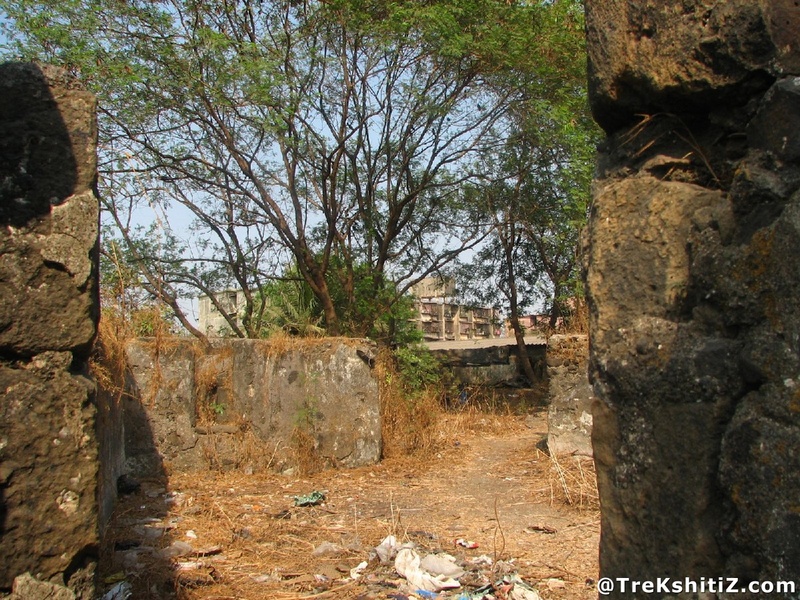 This fort is currently a victim of encroachment, as other forts in Mumbai are. In the remnants we can see the ramparts on the front side and a stone inscription indicating that the fort was built in 1737. There is no way to the fort; one has to climb the 8 feet tall wall to reach inside. There we can see the entrance, stairs and �Fanji�. The fort interiors are in a bad plight and garbage resides within. The fort is on Sion west side. If we walk for around 10 minutes on the Sion-Bandra link road, on the right side is the Kala killa lane. The fort is at the end of this lane.